When critical components require maintenance, repairs or replacement, our experts will step in to engineer custom solutions. We provide fast-track equipment when replacements and new transformers are required to complete mission-critical infrastructure. Considering the cost, lead-time and possible outcome of multiple options allows us to make better decisions for each client. Effective planning ensures that equipment repairs and purchases benefit your bottom line by increasing reliability and reducing unexpected expenses. With our global supply network, in-stock inventory and mobile equipment, delays are history. Over the years, we have completed a long list of projects involving the successful emergency replacement of high-voltage transformers in the United States and abroad. With strong demand for electricity worldwide, fast-track solutions with zero lead time have become increasing important. At Equisales, we are pleased to fill the need for transformers and high-voltage equipment that can be shipped overnight and be ready for installation tomorrow. When new equipment arrives on-site, we supply the machinery and technicians needed to complete installation immediately. Vacuum filling is a critical part of the final assembly and installation process. Our self-contained vacuum filling and oil processing trailers are ideal for all types of high-voltage facilities, including remote sites where power is not readily available. Field technicians will apply a vacuum according to the specifications of the transformer. Detailed preparation and filling practices on new and refurbished equipment ensure that air and moisture are completely removed from the coil windings and transformer oil. Inadequate vacuum pressure and oil processing can weaken the dielectric strength of insulating fluids and cause a corona discharge and other problems. We are available to deliver equipment and provide installation and repair services for high-voltage clients anywhere around the world. When power generation and distribution depends on a generator step-up unit or a step-down transformer, we can source and install a replacement that matches exact specifications. Repairs, replacements and rentals are available depending on desired cost, lead time and other considerations. When specifications change, we can replace cores and rewind coils to achieve required performance ratings. 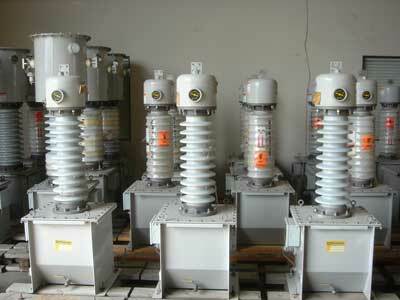 We also offer transformer rentals and related services. This ensures that clients can continue operations while benefiting from the savings that repairs provide. Our electrical engineers and technicians offer the services that are needed to complete fast-track projects before critical deadlines. Whether you are building a distribution substation or replacing high-voltage transformer parts, we can provide the quality products and engineering capabilities that you need. We are also available to perform the following services on existing and newly installed equipment. We are available 24 hours a day to respond to your time-critical requests. To speak with an expert, call 713-733-3999.